Snart är en av sommarens mest omskrivna filmer här - Super 8! Här är nya postern! 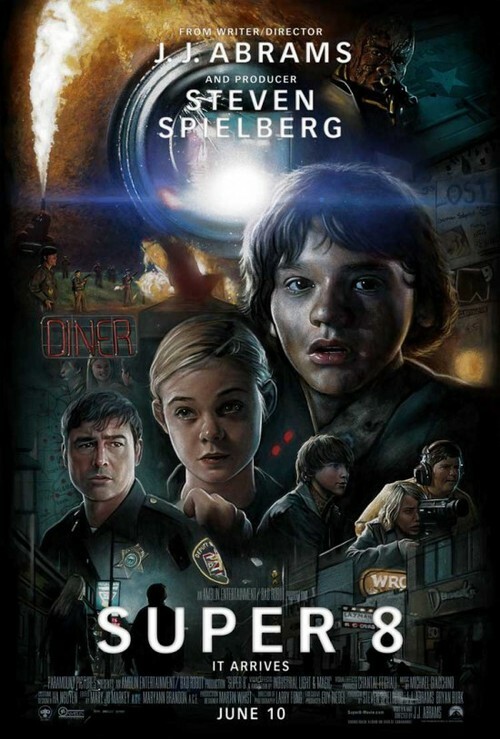 SUPER 8 is an Amblin Entertainment / Bad Robot production, directed by Abrams from his original script and produced by Steven Spielberg, Abrams and Bryan Burk. The film stars Kyle Chandler, Elle Fanning, Joel Courtney, Gabriel Basso, Noah Emmerich, Ron Eldard, Riley Griffiths, Ryan Lee and Zach Mills. The movie takes place in the summer of 1979, where a group of friends in a small Ohio town witness a catastrophic train crash while making a super 8 movie and soon suspect that it was not an accident. Shortly after, unusual disappearances and inexplicable events begin to take place in town, and the local Deputy tries to uncover the truth – something more terrifying than any of them could have imagined.